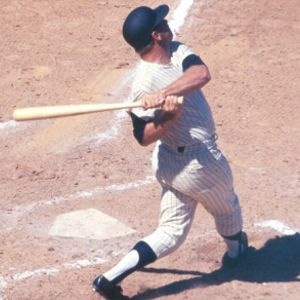 The official Mickey Mantle website is the definitive guide to the life and times of one of sports most loved, most famous and biggest hitters in baseball history. The site contains a variety of biographical material gathered by friends, family and baseball aficionados. 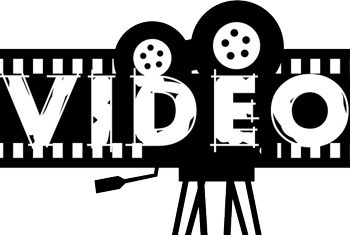 Browse the various sections and take a step back in time. To a simpler time when true American heroes once existed. A time of American pride. A time when playing baseball was all that little boys wanted to do. A time of collecting and trading baseball cards. 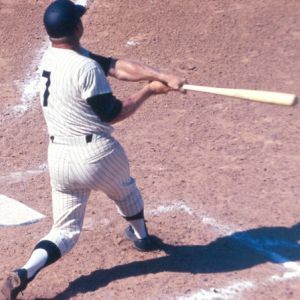 A time of opening packs of baseball cards, smelling the sweet scent of the flat, pink bubble gum sticks within, and searching for that one card, the card of all cards… Mickey Mantle! America needed a new baseball hero in 1951. 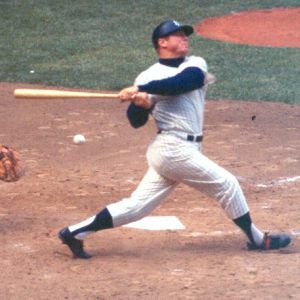 Mickey Mantle became that hero. 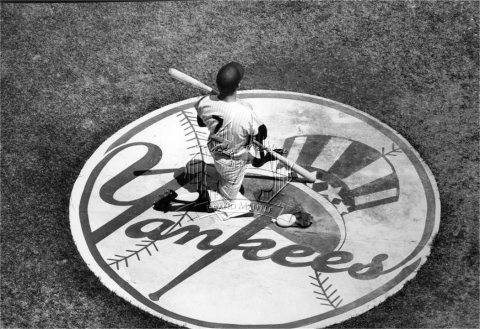 With television sets beginning to appear in every American home, we were able to watch Mickey and the Yankees virtually every Saturday on the Game of the Week and practically every October in the World Series. 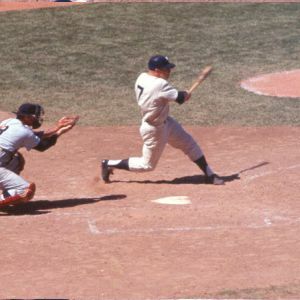 Because of his Herculean homers and his amazing clutch hitting, the name Mickey Mantle became synonymous with the Fall Classic. After Mickey hit a 565’ homer completely out of Griffith Stadium in 1953, the term “Tape Measure Homer” was coined. 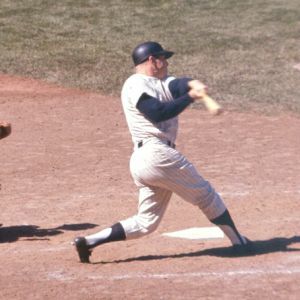 Afterwards, Mickey hit gigantic homers completely out of almost every major league stadium that he ever played in except Yankee Stadium which he missed doing so by just inches in 1956 and again in 1963. 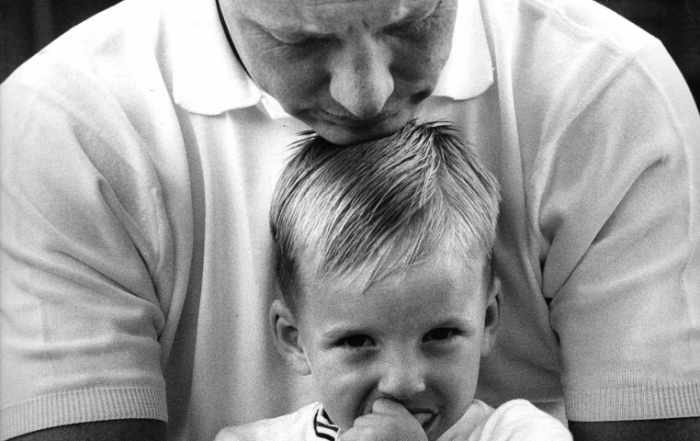 Mickey’s life and career are ones of perseverance, courage, determination, amazing feats and true greatness. 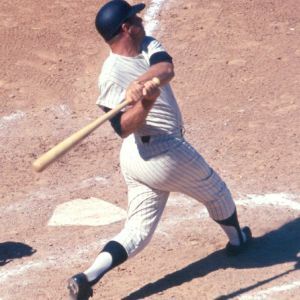 The Mantle family sincerely hopes that you enjoy this site and through it, learn a little more about the baseball player and the man known simply as “The Mick”.